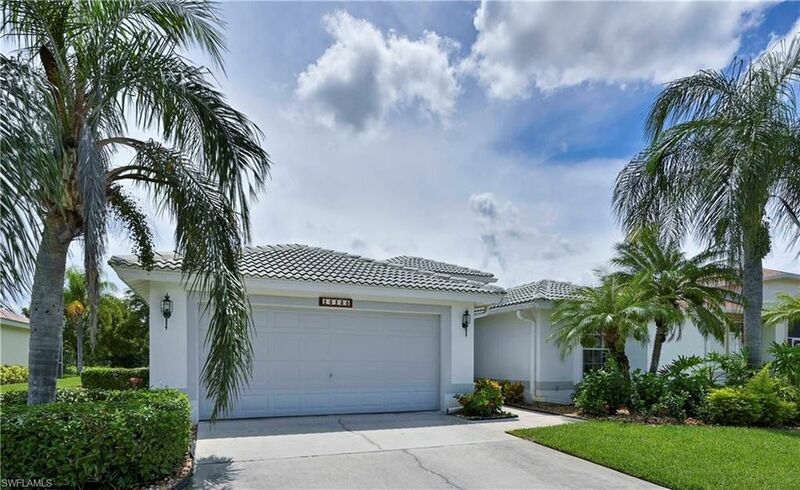 This lovely, partially furnished, SINGLE FAMILY home in our premium 55+ gated community of HERITAGE COVE absolutely can't be beat. Our 2 br, 2 ba home with den is pristine, inviting, lovely and located in a beautifully landscaped, quiet neighborhood. It offers full house hurricane shutter protection, Large outside caged area with lovely lake view, Laundry room w/ washer, dryer and tub, kitchen has custom cabinet doors , granite counters + breakfast room. Den with wood built-ins for storage and desk. Community amenities are wonderful: Large pool / deck (water aerobics) / spa, Grilling area / covered 'cool off' area, Workout room with all great equipment, Library, Computer / Media room, Huge great room for dances~dinners~events, Also doubles as card / meeting room, kitchen, Billiards / Pool table, Bulletin 'wall', On-site management! Outdoor activities: Fishing dock, Walking / jogging sidewalks everywhere, Tennis courts, Bocce ball court, Shuffleboard! We also have golfing / bowling teams, quilting, poker, Women's Club and social events. We may be 55+ but a lot is going on. Finally, we're PET FRIENDLY, fenced, gated, in a perfect location! Call, text us to see this great home!